Marketers are now facing a big challenge: To prove if and how digital marketing campaigns boost sales and revenue. Google Analytics Attribution Models can help. Basically, if you can identify which channel’s influence prospects to convert, then your marketing investments and resources will improve. And since a customer’s path to purchase involves multiple touch points, knowing the difference between the events that assisted vs. converted prospects is as good as achieving your marketing goals. Yet, translating multi-channel marketing data is still tricky as marketers try to measure ROI of each touch point in a buyer journey. Every customer’s journey is unique and can’t be justified without insights into their online behavior and interaction with your company. That’s why each event in a lead conversion funnel is just as important and deserves your attention. This is where the attribution models in Google Analytics come into play. In simple words, attribution models assign credit to the channels which enable conversions and revenue. Google Analytics offers 6 different attribution models, each with distinct functionalities. With Google Analytics attribution models, you can see which channels produce higher output for your marketing campaigns. 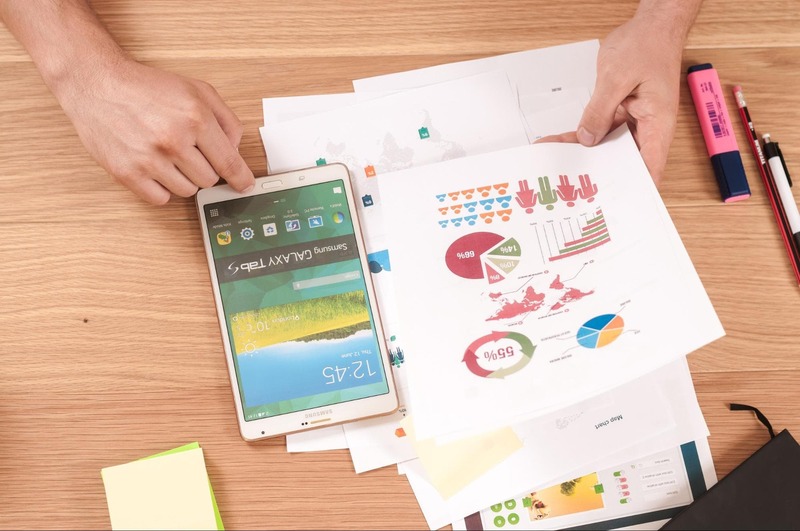 Essentially, Google Analytics maps the customer’s path to purchase and pinpoints the interactions that propel your prospects to take the desired action. This way you can proactively guide and optimize your marketing plan, budget and execution. 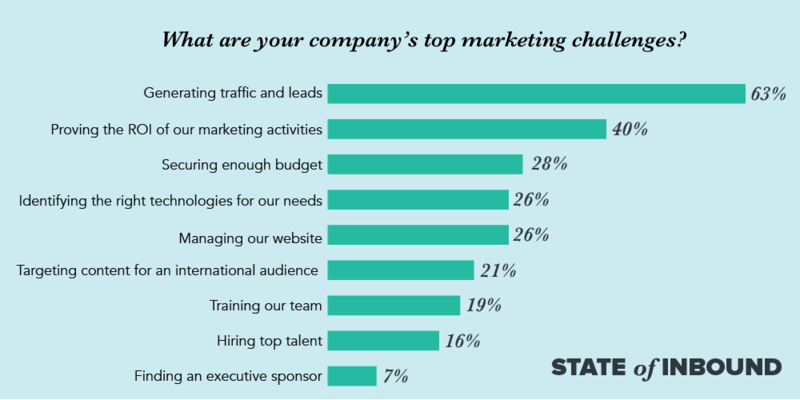 Which marketing channels work the best for generating a lead, triggering a conversion or closing a sale. Why some touch points bring high-quality traffic but under-perform in converting leads. What resonates with customers at each stage of their buyer journey. How to design effective marketing campaigns with right digital channels. 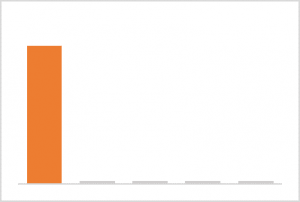 Which touch point deserves what percentage of marketing spend. To use any of the attribution models, you must complete the first step: Defining your goals. 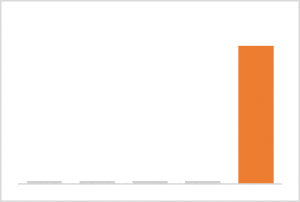 Here’s a great resource on how you can set your campaign goals in Google Analytics. Quick note: If a prospect bans or clears cookies on their browser, you can’t capture their path to becoming a customer. Now, Google Analytics attribution models can be categorized into two segments: Single and multiple touch points. We’ll delve into the models under these sections so you can know when to use them based on different marketing campaign goals. Let’s say, a customer sees and clicks on your paid search ad (AdWords), returns after a week through an email marketing link, searches you on Google, sees another Facebook ad in their feed a week later, again searches you the next day before finally purchasing the product (completing your campaign goal). So, let’s see how each attribution model in Google Analytics will differ in allocating credit using the example above. As the name suggests, Google Analytics' First click attribution model attributes 100% credit for a conversion to the first point of contact with a customer. While the first click model discards the rest of the marketing touch points up to the final conversion, one can argue what point is there to a campaign if no one knows about you. So, in our example, the AdWords paid search ad will get the credit. The first click attribution model, along with all others, has its share of advantages and disadvantages. Now, due to its simple attribution system, you don’t waste time on decoding data. It also gives you a great marketing insight into which channels drive your top of the funnel efforts. But, first click fails to give you the whole story. 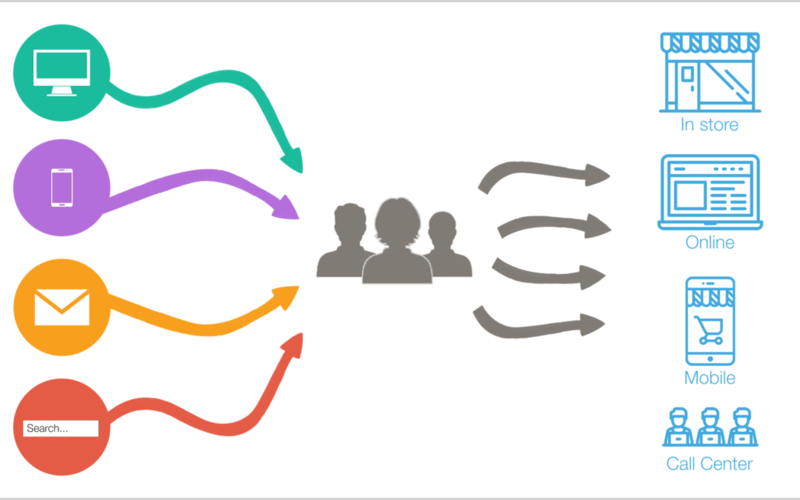 With user journeys getting more diverse, ignoring other touch points will constrain your marketing analysis. 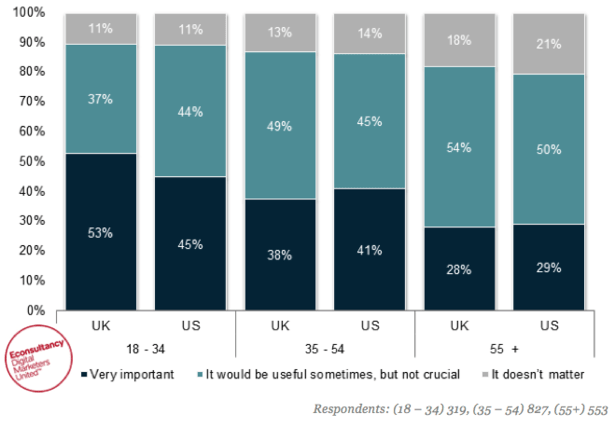 And according to Econsultancy, almost 50% of buyers expect retailers to be omnichannel. It’s no secret the middle and bottom part of a funnel nurture and guide leads to become customers. This simplified model can be useful for certain goals such as brand awareness and demand generation, especially for newer companies. So, use the first click attribution model in Google Analytics to identify which channels perform well at the top of a funnel and increase your net-new customers with better reach. In the last touch model, all the credit is given to the last event prior to a lead becoming a customer. Like first click model, there’s no problem setting up this straightforward system. You don’t have to track or calculate the credit weight distribution. In our example above, the direct visit will receive 100% credit. If you implement the Last Touch model, you instantaneously identify the marketing channel responsible for closing a sale. Which, in turn, can help you optimize that channel and increase revenue. In short, you get to focus on one event to accelerate lead generation without worrying about other touch points. Despite the pros, the last touch model doesn’t show you the complete picture. The other touch points which guided and nurtured prospects aren’t acknowledged. So, your future campaigns may suffer since you won’t have a clear idea on which channels work and which don’t. Use this model to identify marketing channels if your goal is improving conversions. For example, landing pages, email campaigns, webinar sign-ups. The Last non-direct click attribution model is the default model in Google Analytics. It ignores all direct visits and assigns 100% conversion credit to the last marketing effort which influenced customers to convert. This way, you see the real impact the marketing channel had without direct visits, which were likely due to prior marketing, taking undue credit. In our example, the Facebook ad gets 100% credit when using Last non-direct click attribution model in Google Analytics. Since this model discards direct visits, you can discover which marketing channel turns your conversions into sales. This way you can speed up the lead generation and conversion process by enhancing the relevant interactions. But—just like previous models—last non-direct attribution doesn’t offer a complete analysis of how a buyer progresses from the first click to the last, creating unreliable data points. You can employ this model for a short conversion cycle that moves customers quickly from awareness to purchase like an e-commerce campaign for low-risk transactions. The linear model treats every touch point equally with all events playing a significant role in a user’s path to purchase. Basically, you acknowledge all events responsible for scaling your lead conversions fairly. In the example, all channels receive 20% credit. This is a great model to analyze whether you’re overvaluing or undervaluing certain events. 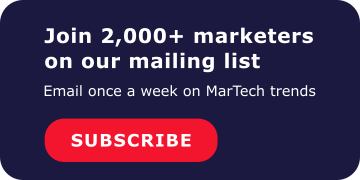 Here you can test which channels can be cut before perfecting your marketing performance, especially if you’re planning to go the last touch or first click route. Since linear model highlights all events, you understand how mid-funnel channels contribute and may even spot a pattern in the buyer journey. At the same time, as a marketer, you know every touch point can’t have an equal credit for acquiring a lead/sale. As the customer habits evolve, each channel and its execution will change too. And even if you have analytics data, it won’t give more credit to channels that are effective for your campaign. This model works great if you offer customer service, wish to boost user engagement or have a short sales cycle. Here, higher attribution is distributed to recent events leading up to the final conversion. This model knows each touch point plays a role but deserves different credit based on their proximity to a sale. So, it assigns more weight to interactions later in the buyer journey as they push a lead out of their nurture zone and into a ‘customer’ one. 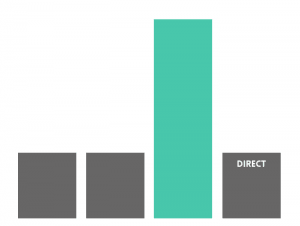 In the example, paid search ad gets the least credit (5%) and the direct visit gets the most (45%). Time decay is used by many marketers as it comes close to comprehensive attribution by defining the varying influence of individual channels. With this model, you can optimize the events which convert a lead while acknowledging other touch points. But, one big flaw with this model is the devaluation of the first click. There are cases where the first touch may not matter much, like a time-sensitive promotion. Nonetheless, without a well-executed first interaction, the remaining journey may not be as persuasive. You can apply this model in a few of scenarios. First, when your buyer journey is longer (e.g. B2B). Second, you wish to understand which interaction has the most influence with good traction and several leads. Third, you want to investigate the mismatch between high-quality traffic and low conversion performance. 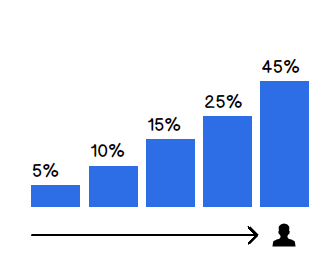 With the position-based model, the first and last channels get higher attribution (40%). And the rest (20%) is divided evenly among the remaining channels. Similar to time decay, the model gives credit to all touch points while awarding the most to lead generation and conversion triggers. 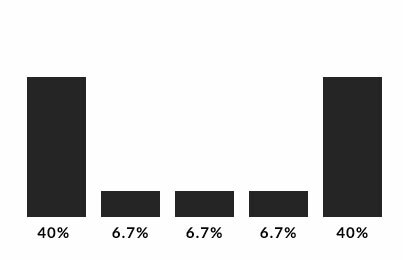 In the example, paid ad and direct visit get 40% each while email, direct and Facebook ad get 6.7% of credit. The position-based model offers a better end-to-end performance summary, making it another favorite of modern marketers. It takes the uncertainty out of the first click and last touch models and provides a clearer representation of your buying cycle. Then again, depending on your campaign objectives, the initial touch may not be that influential. So giving first touch the same weight as the event that closed a sale may twist the actual findings. In case you hope to improve marketing performance and ROI while not emphasizing on mid-funnel events, go for position-based model. Remember: You’re not bound by one attribution model. You can use the Model Comparison Tool in-built in Google Analytics to compare and review data of same touch points through three different methods to confirm their potential and value. In the end, it comes down to choosing an attribution model based on the questions you want to answer. It’s crucial to remember there isn’t a model that entirely maps and connects all your marketing investments to business ROI. These models don’t consider offline factors like radio/TV ads, trade shows, print media, events. Furthermore, they can’t account external influences like economy, seasonality, competitors, pricing, etc. Of course, all attribution models fall short in one way or the other. But you can still gain great marketing insights on customer behavior, their path to purchase and acquisition by using the models to scale business goals and brand value. 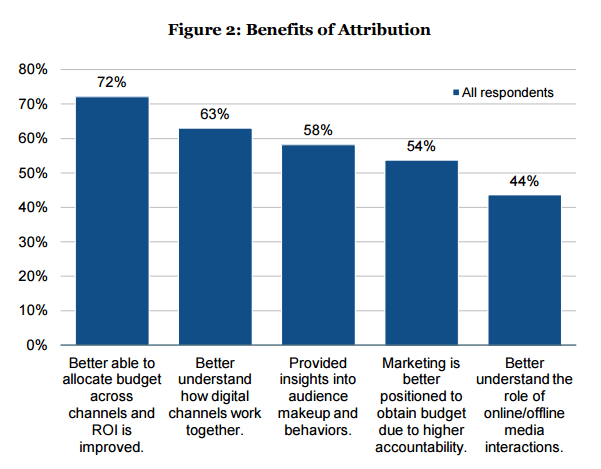 Which attribution model drives your current marketing campaign? Really I impressed from this blog because I needed information about attribution models and I get your blog very good information from your blog. Your guide google analytics attribution models is really simple to understand you very well explain. Thank You!